what is the dumbest thing anyone has ever said to you? This topic has 314 replies, 192 voices, and was last updated 7 years ago by PJM1974. Yeah, it’s a unit of distance. I used to work as a tour guide in a distillery. We used to get some intersting questions. Generally though not exclusively from american buds parties. So… when do you add the alcohol? When do you put the shortbread in? And slightly bizarrely, when do you add the carrots, you know for colour?! Again in Edinburgh, I was stopped and asked where all the “Scotch” people were? Turned out the tourist in question thought the only “Scotch” people, were the ones in kilts, preferably playing the bagpipes. We saw a massive wood pigeon sat on a branch in the garden to which my girlfriend says “Look at the size of that pidgeon, it must be pregnant” – Dont birds lay eggs darling? Out walking in the winter when there was snow about same said girlfriend came out with “doesnt the snow make those sheep look really dark” – yes that would be because they are black sheep! Same guy once referred to 10 at Kirroughtree as “10 Under the Tree”. Yes they do get wet. They are immersed and cleaned in a liquid solvent solution. the term “Dry Cleaning” just means the absence of water. Exactly the opposite. 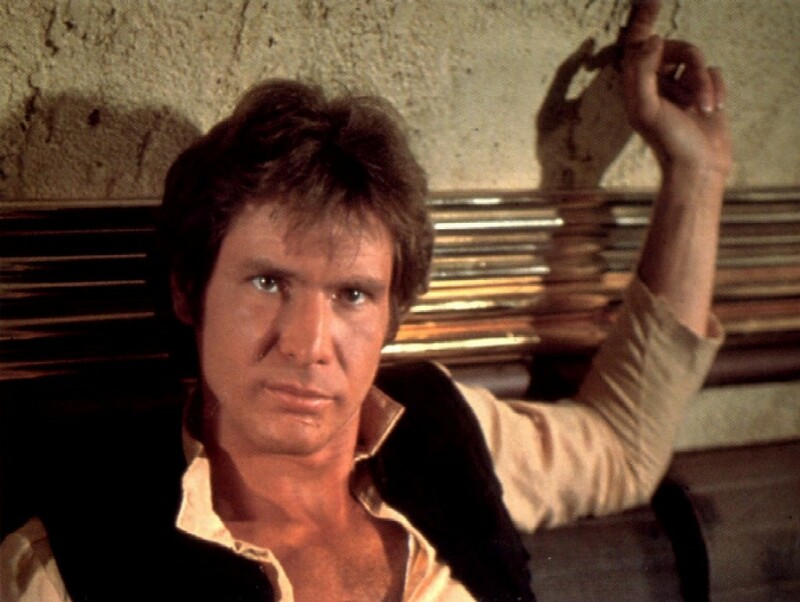 Americans use units of time to indicate distance, Han Solo was using a unit of distance to indicate time. When I was about 17 I had a job shelf stacking in Sainsbury’s. I knew that she meant “are they genetically modified tomatoes?” but the fact that she’d obviously read an article in the Daily Wail and completely failed to grasp any of the finer scientific points amused me no end. American ‘phones the Tourist Office to ask if the Cotswolds are open on a Sunday. And one that did happen to me, an American walking down The Backs in Cambridge asking where “The University” was. I think she was just interested in King’s College Chapel. Abergavenny yesterday in a cafe – “Do you want milk with your black coffee”!! Likewise I’ve seen, more than once, Americans stood on North Bridge talking about how lovely the castle is while taking photos of Calton Hill. I was somewhere recently and asked for a black coffee, as a very thoughtful gesture the waiter/ress put a little milk carton (buggered if I know what they’re called) on the saucer, just in case I changed my mind, I imagine. And London bobbies at Christmas. Q: How far to Harrods? A. Yes, it’s only 200metres but will take about 20 mins to get there. It really threw me when I was there. Absolutely no concept of the actual distance, and utterly perplexed as to why anyone would ever want to know or care. Which makes some sort of sense I guess. 2. Me and the Mrs went looking for a new car and I always try as be informed as possible. Salesman: What type of car are you looking for? uncontrolled squeak of mirth just rang around the office. Was asked by an American how long it took to put the castle up each year for the festival. Also when talking about Lou Ferrigno (the original Hulk) to a mate I said that the Hulk was huge. My ex then turned round and asked if he was real. Bless…obviously we told her it was a documentary and kept it going for about 5mins before having to admit that we were lying. I over heard the following telephone conversation once whilst at the front counter in Fort William police station, in Winter. Policeman: Hello, Fort William police station. Policeman: Well, Ben Nevis is a mountain, but to answer your question, yes it is still open. Policeman: Yes, there is a footpath to the top of Ben Nevis. Policeman: No, there are no streetlights. Just a minute…Sorry, I was wrong before, it is now closed. Maybe try it in the summer. Policeman: Okay enjoy your holiday. TBH, it’s an odd convention that takes some getting used to. If someone coming up fast behind be (stop it) yells “on the right!” I know that they mean they’re going to pass on the right, but instinctively I want to react by moving right cos that’s what they’ve shouted. I’m aware of what’s behind me as well as infront and always instinctively move over off the main line to let a faster rider through. I choose where, when and what side anyone passes me on. 1 what do you do with the ice sculptures once they have melted? 2 what time is the midnight buffet? 3 is it fresh water or sea water in the toilets? 4 where do the staff sleep? This was approx 20 years ago and it still makes me chuckle. Walking around the Schönbrun Palace in Vienna on a guided tour. We stopped in one of the salon and the guide described the exquisite objet d’art dotted around the room then gave a detailed description of the White Gold encased in crystal chandelier that hung from the ceiling , a triumph of Habsburg craftsmanship. Speech concluded we prepared to move off to the next wonder. The American lady in front of us turned to her friend and said, “Gee and it’s not plastic”. A lot of muffled snorting from our portion of the tour followed. is it fresh water or sea water in the toilets? Why would this matter? Were they planning to drink it? The topic ‘what is the dumbest thing anyone has ever said to you?’ is closed to new replies.